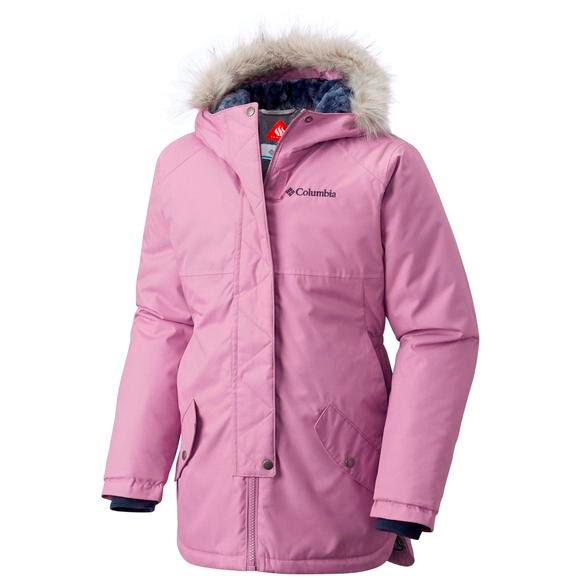 She'll enjoy maximum warmth and protection in this waterproof Columbia Girl's Youth Carson Pass™ Mid Jacket inspired by the classic arctic explorer anorak. Featuring a critically seam-sealed exterior, 150g of synthetic insulation, a thermal reflective lining, and a longer length. Our Outgrown™ system to get her through those pesky growth spurts. She&apos;ll enjoy maximum warmth and protection in this waterproof Columbia Girl&apos;s Youth Carson Pass™ Mid Jacket inspired by the classic arctic explorer anorak. Featuring a critically seam-sealed exterior, 150g of synthetic insulation, a thermal reflective lining, and a longer length. Our Outgrown™ system to get her through those pesky growth spurts.